Get it on September 25 for a whopping 7,025 yen. Danganronpa: Another Episode will launch for PS Vita on September 25 for 7,020 yen in Japan, this week’s Famitsu reveals. The game’s staff includes producer Yoshinori Terasawa, associate producer Yuuichiro Saito, director Shun Sasaki, and scenario writer Kazutaka Kodaka. The story is set a year and a half after the events of despair, when Komaru manages to escape an attack from Monokuma. Characters include Komaru Naegi (voiced by Aya Uchida) and Toko Fukawa (voiced by Miyuki Sawashiro). 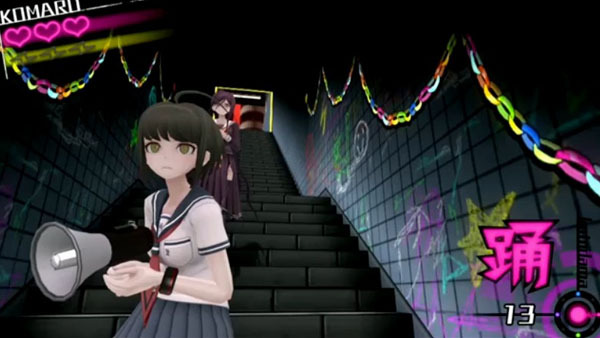 Players will control Komaru, who uses a megaphone-style hacking gun, but there are scenes where players will temporarily control Toko, as well. Other characters from Danganronpa 1 and 2 will also appear. Each character specializes in a specific area. There’s the hero, soldier, monk, sage, and magician, respectively. And one last tidbit, there seems to be about 10 different types of Monokuma. If you missed it, catch the game’s recent gameplay trailer here.